Leidens Ontzet, celebrate the lift of the Spanish siege! 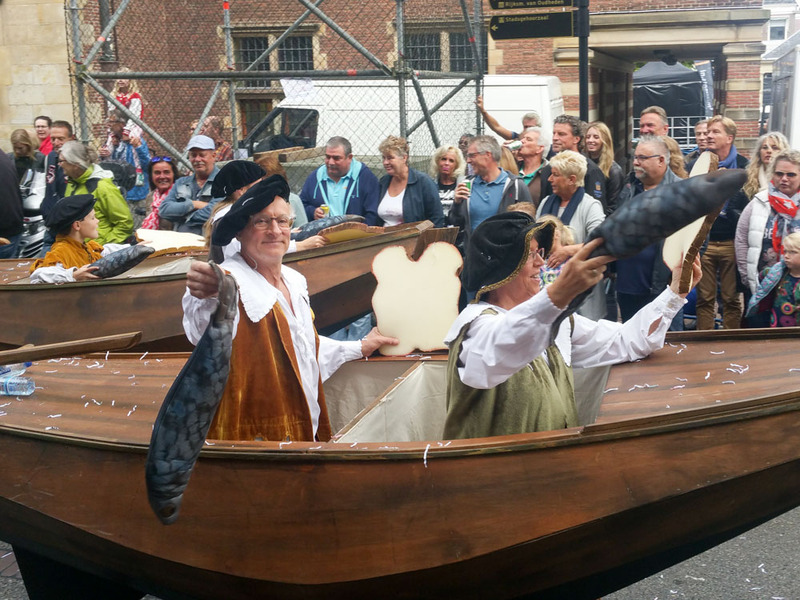 One of the most interesting festivals in the Netherlands is Leidens Ontzet. On 3 October, Leiden celebrates the lift of the Spanish siege in 1574. Come and read about herring, white bread, and all the festivities. 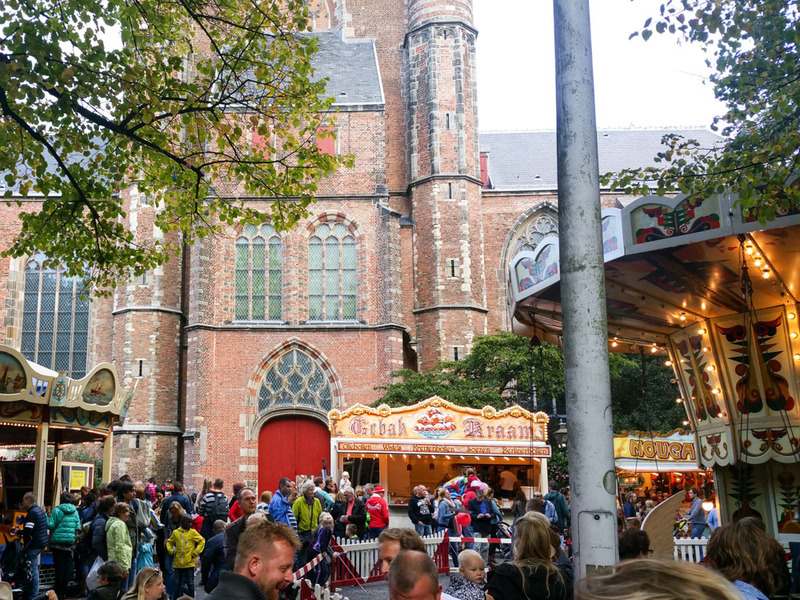 Each year in the week of 3 October, the city center of Leiden changes into a big outdoor festival. The pubs set up big tents in front of the buildings with an outdoor bar and live music. There is a big traveling funfair with exciting rides and games. But what's the celebration all about? And why does the population of Leiden eat herring, white bread, and other specific meals during these days? During the Eighty Years War, the city of Leiden was under siege by Spanish troops. From October 1573 until march 1574 there was a first siege. The city was defended by a rebel army of Dutch, English, Scottish and Huguenot French troops. The Spanish soldiers had a difficult siege. The city defense works where strong and hard to break, and the soil was too wet and loose to dig tunnels underneath it. In March 1574, William the Silent, the leader of the Dutch rebels, sent in an army under command of his brother, Louis of Nassau. The Spanish troops at Leiden seized their siege to fight the incoming rebel soldiers. The Dutch rebels where defeated and Louis of Nassau was killed. After a two month pause, the Spanish troops returned to the city of Leiden and continued the siege. William the Silent send a carrier pigeon to the people of Leiden, asking them to keep the Spanish out for three more months. The relief of the siege took longer than expected. William of Orange got a fever and they were met resistance. 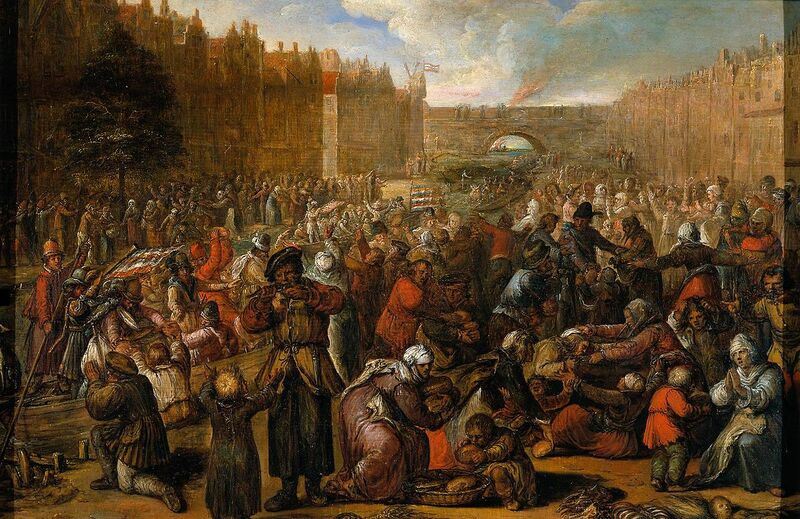 During the second siege more than 6000 ouf of the 18000 inhabitants of Leiden died of hunger and plague. The people of Leiden were so hungry, that the major of the city Pieter van der Werff, offered his body as food (The people refused). 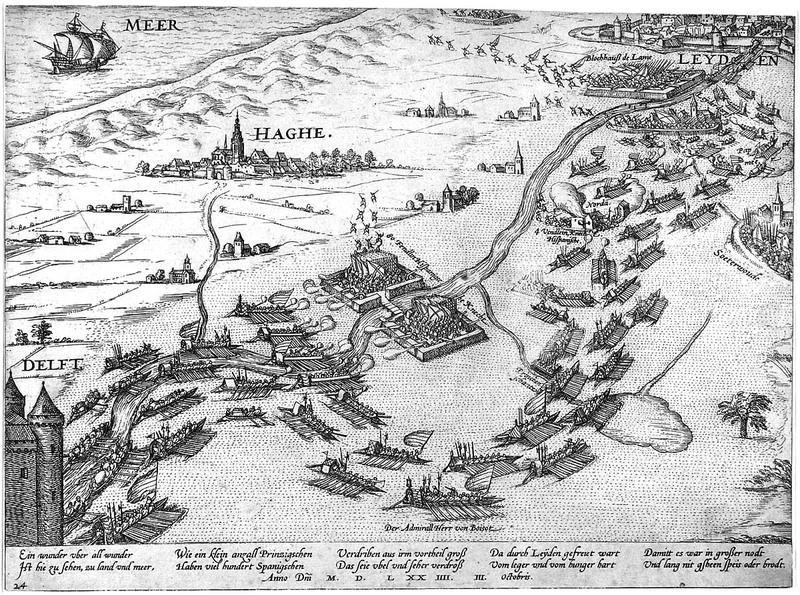 During this period, the Prince of Orange pierced the dikes at Rotterdam and Capelle aan den Ijssel, causing the seawater to flow land inwards. End of the siege: Leidens Ontzet! On the night of 2 to 3 October, the wind made the water flow in the right direction, and the sea reached Leiden. Because of the incoming water, the Spanish troops left their camps and ran away. Leiden was releived, or in Dutch "Ontzet". Hence the name "Leidens Ontzet". A small orfin boy, Cornelis Joppenszoon, left the city in search of food. It was in one of the abandoned Spanish camps where he found a big kettle. It was filled with a stew made out potatoes, carrots and onions. He brought the kettle back to the city and told the people of Leiden that the siege had ended. Since then, this traditional meal of "Hutspot" is eaten each year at 3 october in Leiden. In the morning of the 3rd of October 1574, a group of Rebel mercenaries named 'Watergeuzen' or Sea Beggars, sailed in to the city. They brought herring and white bread for the people who were starving. Ever since, on the morning of the 3rd of October, the people of Leiden can get free herrings and white bread at the Waag. The raw herring is a traditional Dutch delicacy. We eat them by grabbing them by the tail and dipping them in onions, or by putting them on a piece of bread. During the whole day there are many festivities such as live music, theatre, and a big street market. But one of the highlights is the big parade. Thousands of people stand at the sides of the road to watch the incoming people and carts, all dressed up and decorated in a certain theme. During the parade there are small acts and marching bands. The theme of 2016 was 'Relaxing in Spain'. 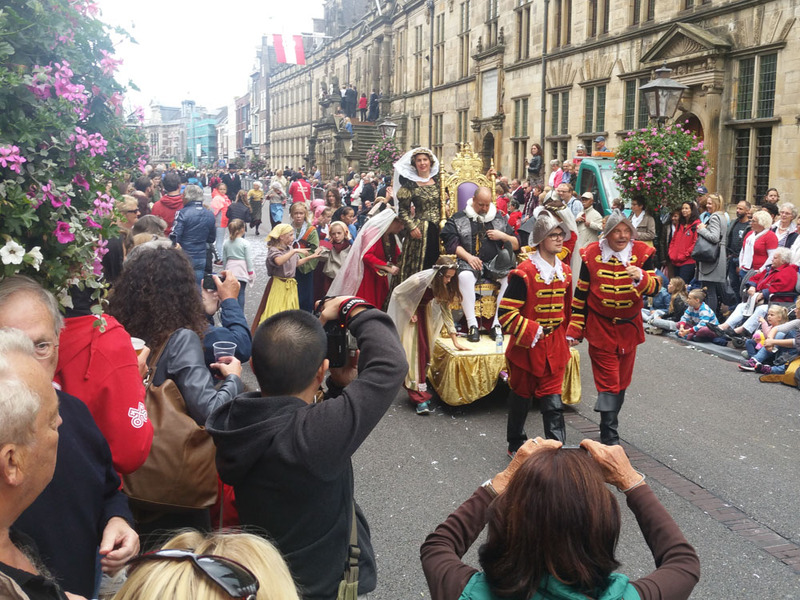 There are a lot of Spanish decorations and food such as Churros, so there are no hard feelings towards Spanish people, and it is safe to visit the festival if you speak Spanish. Near Saint Peters church there is a historic funfair. This fair is much different than the rides near the Trainstation. The historic funfair features older rides. When walking the fair, under the trees at the beauiful church, you feel like you are in a different time. Near the house where the painter Rembrandt van Rijn was born, there is a historic market. Talented artists show crafts and art from history here. Fierljeppen is traditionally a sport of the Frisian people in the North of the Netherlands. 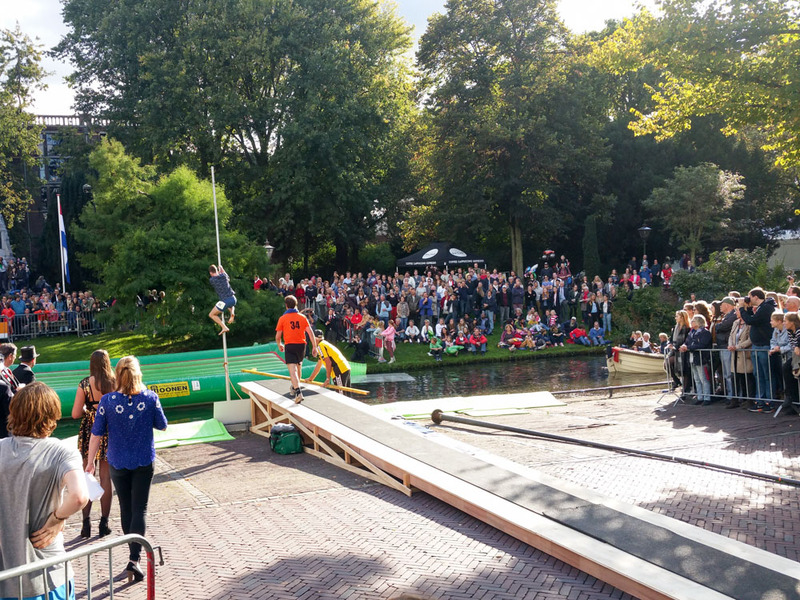 But during the 3 October festival the people of Leiden have a go at it. 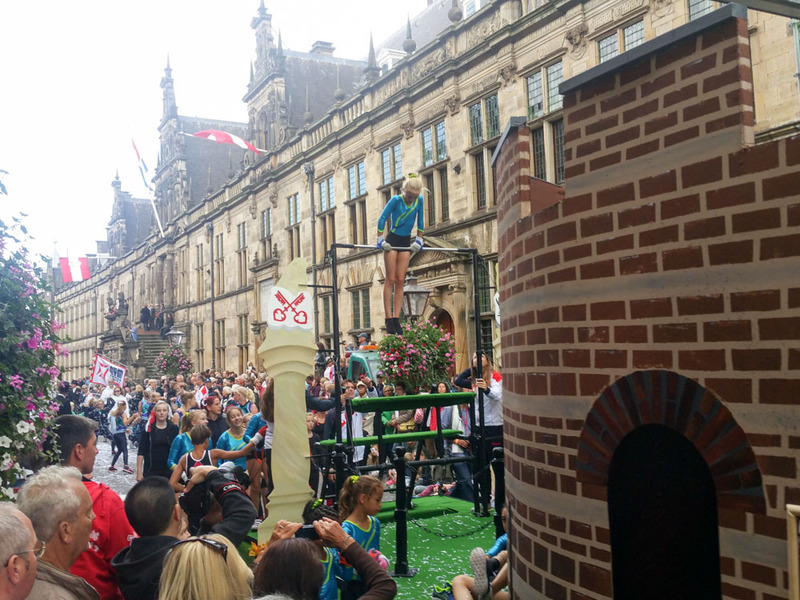 After a run up, you climb a 8 to 13 meter long pole, and use it to jump the canal. Only a few people actually make it the way across and it is alot of fun to see. 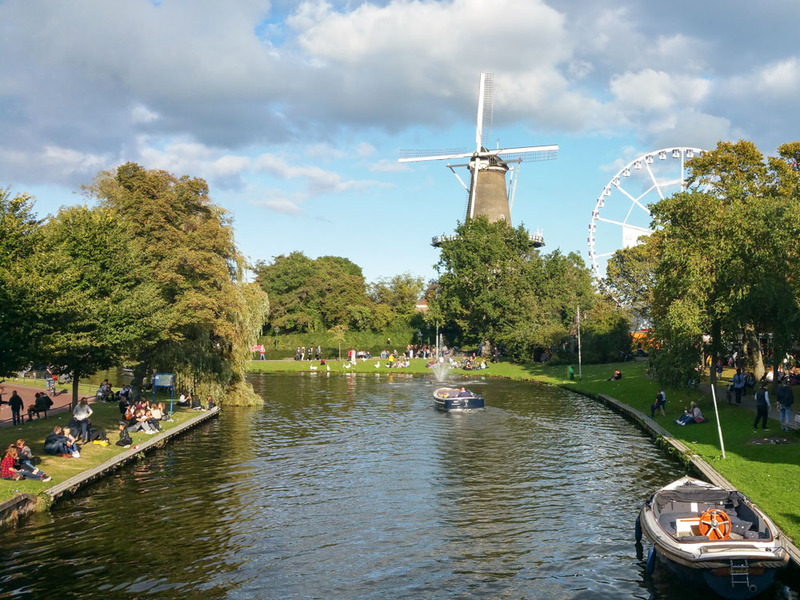 Are you visiting the Netherlands around October? Make sure to join us at the celibrations.